What could be better than jazz in the open air? Enjoy the music of Medeski Martin & Wood, The King Froopy All-Stars, and AlasNoAxis in Central Park. 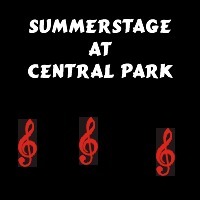 Central Park SummerStage, a program of City Parks Foundation, presents performances of outstanding artistic quality, free of charge, to serve the diverse communities of New York City.